The Rakan is on par to be the most efficient pedaling trail bike on the market. 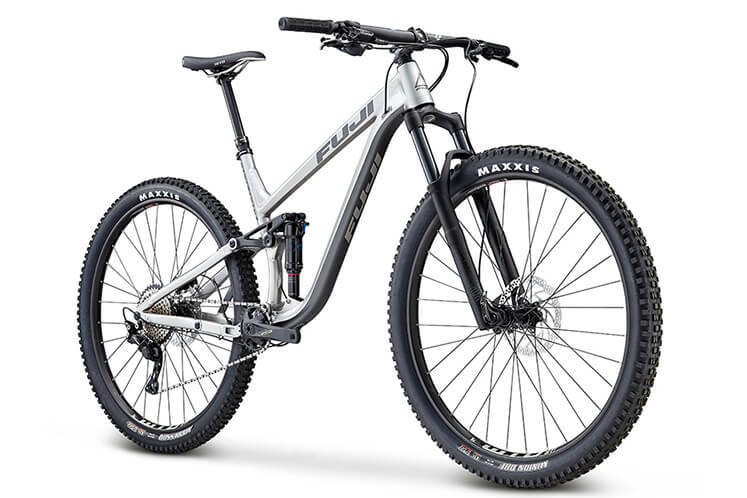 120mm of MLink® suspension gets you to the top of the climb as fast as it gets you down the mountain, and modern geometry gives you extra confidence when descending. Dropper seatposts combined with 29" wheels make the Rakan the obvious choice if you can have only one do-it-all bike in your quiver. A6-SL super-butted alloy frame is lightweight and strong. 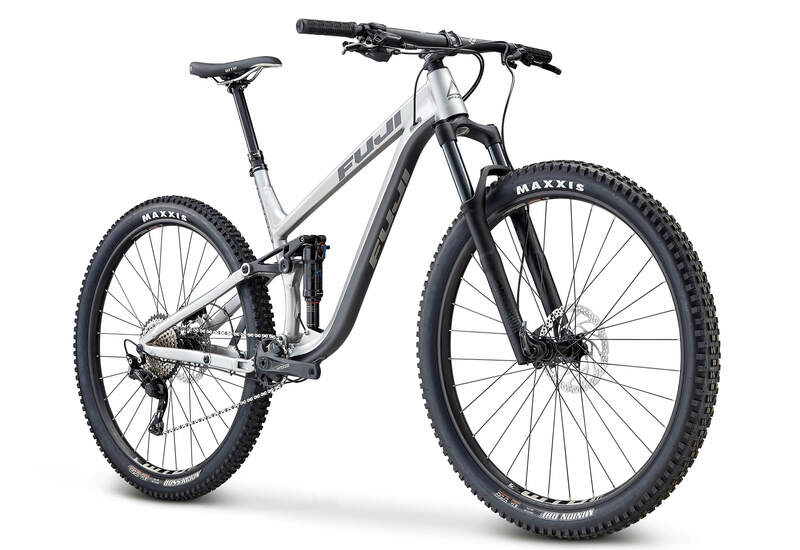 120mm of MLink® rear suspension and a 130mm travel fork provide the platform for a superior climbing and descending mountain bike. Boost 148x12 rear and Boost 110x15 front hub spacing stiffens the Rakan's chassis. Internal cable routing provides clean aesthetics and protects cables from dirt and debris for consistent shifting and reduced service intervals. 29" wheel size provides superior roll over capability and spin up faster. 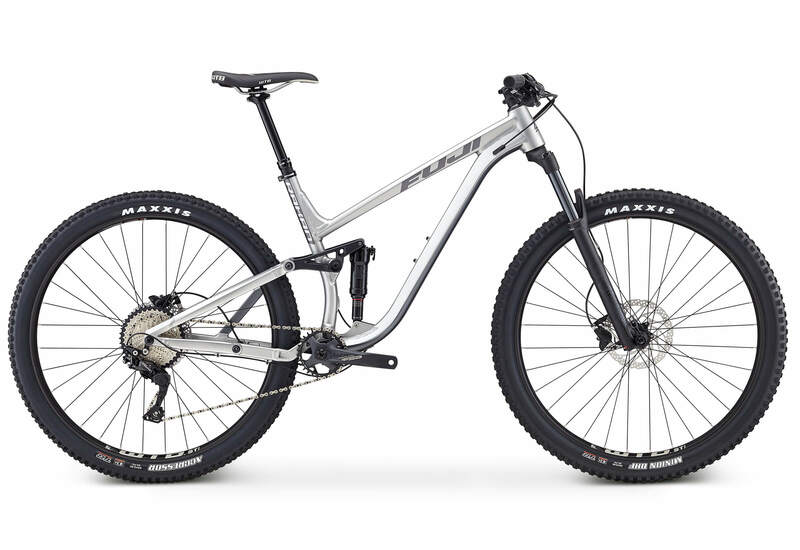 Fuji's lightest and strongest aluminum frame material that has multiple butting profiles in the frame tubes and reduces material in low stress areas which creates a lighter frame without sacrificing frame stiffness and durability. Disc brakes take less effort at the lever for better modulation and improved braking performance, particular for smaller hands. Boost hub spacing is a wider hub standard, 110m front and 148mm rear. These wider hub flanges help to create stiffer wheels as well as improve frame geometry by allowing shorter chainstays with clearance for larger volume tires. A new shock sizing standard that simplifies rear shock sizing and fitment while also providing improved shock performance. Increased bearing overlap improves the interface between the piston and shock body, which essentially eliminates binding in the rear shock creating a smoother, more compliant shock. Threaded bottom brackets are easy to replace and are significantly quieter than press fit. Internal cable routing provides smooth shifting and a clean aesthetic. 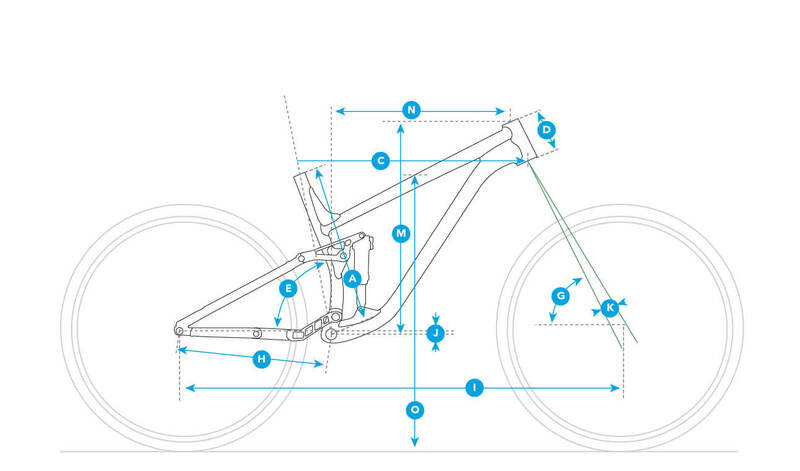 MLink™ is a four-bar suspension system, with the chainstay pivot positioned in the middle of the chainstay. This balanced design provides a smooth and efficient system with less flex, less binding, and less bearing and pivot stress. 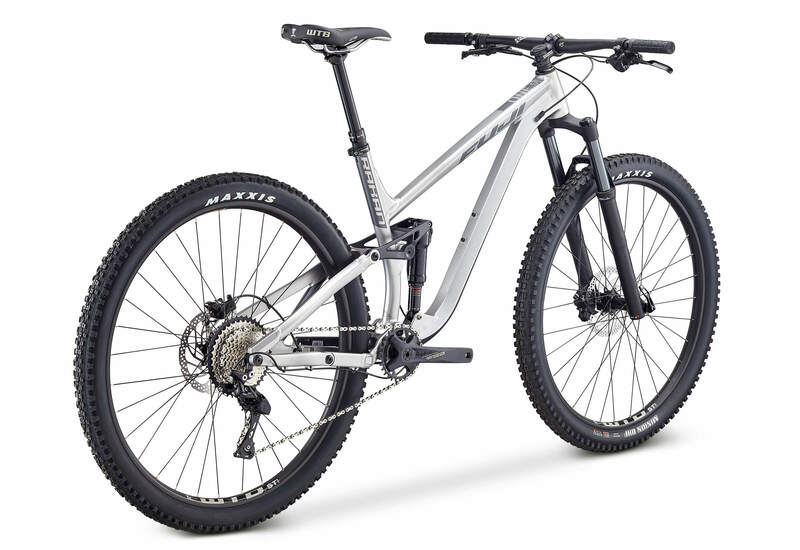 Bike Size 15" 17" 19" 21"